So, I did it! I emailed my novel, The House on Horace Street, to five beta readers. I carefully selected these readers because I know they will be completely honest with me about any areas where my novel may need work. And if you’re wondering if I held my breath each time I pressed send…well yes, I did! I finished the novel as part of the NaNoWriMo challenge. I let the novel sit for December. Then I read it in January and did two rounds of edits that ended the last week of February. 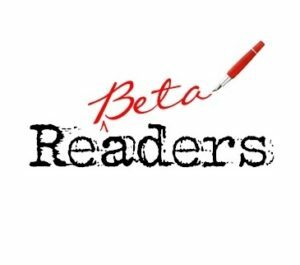 One of my beta readers responded with some really great feedback that is helping me flesh out some areas of my novel. This I am very grateful for. My novel was a novella length, but with the suggestions she gave, I think it will push the length out to a regular novel. I’m still waiting on my other beta readers to get back to me but I will just keep working with what I have so far. I also wrote my query letter and synopsis for my novel. Those are basically the pitch for my book that publishers use to decide whether they want to request the first three chapters of my novel or –gasp–the entire novel! I’m nervous. I’m excited. But I’m ready for it this time. I’ve got stories to tell and I know that my passion for my stories will come through in my writing. I’m pushing forward and working on my goal every single day because I know my novel is going to be accepted for publication this year. So that’s where we are folks.